Hello everybody and welcome to the first ever issue 5 of the Spirit Spotlight, the write up of the best spirits you can find at the Dial. 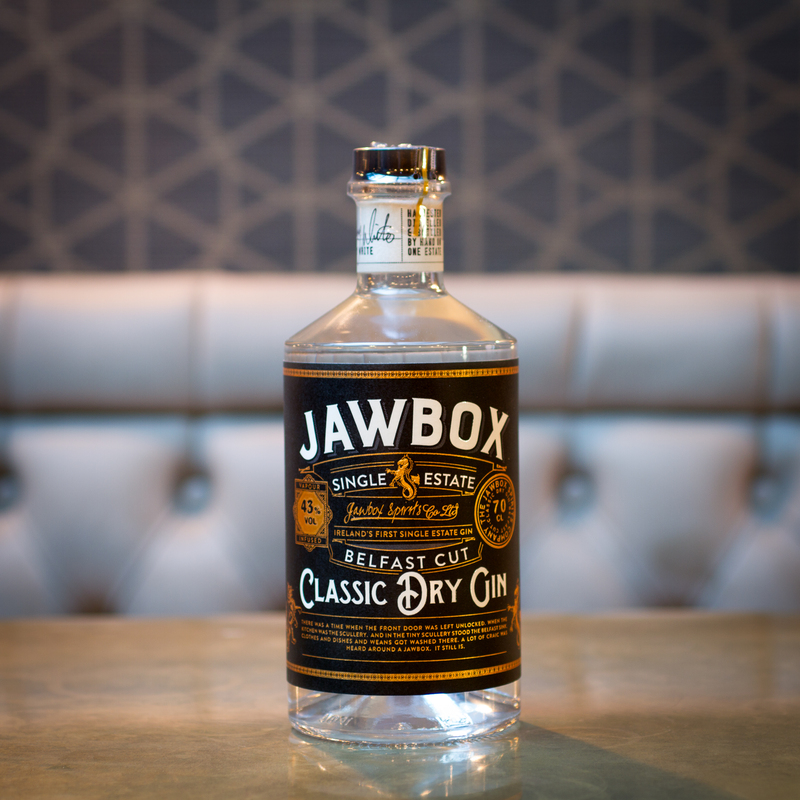 This week we are looking at an extremely hard working gin called JawBox. Now if there is one thing I value highly that is a strong work ethic, and this little grafter has that in spades. You see JawBox takes pride in being made on a single estate, the Echlinville Estate to be exact located near Belfast. This estate dates back to the 16th century and not only is JawBox distilled there, very slowly, they grow their own grain, harvest it and use it to make the gin. Hard work over a long period of time to just get the base spirit made for their gin. Jaw box is then distilled in a copper pot (classic) over night with a host of botanicals, but 3 of these botanicals use a vapour extraction method to get an enhanced aroma and flavour for the gin. So to re iterate they use 7 balanced flavours to infuse the gin with flavour, and then a further 3 are infused via vapour to ensure an optimal taste experience. This isn’t made the easy way, no googling for answers or smart phones to do it all for them, they look to the gins heritage to make their own gin history. If you want to try out this tasty piece of Ireland, try it with ginger ale, but if you want something a bit more fancy with a splash of English Gin heritage, try the Gin Mojito, the Gintito! Add ice and top up with ginger ale. So come on down to the Dial and give Jawbox Gin a go or ask our mixologists to shake something up for you. Until next time, stay tasty.